Item Number: 100-12 18525 Actual Weight: 35 lbs. Commercial-quality dryers provide strong and portable drying power. 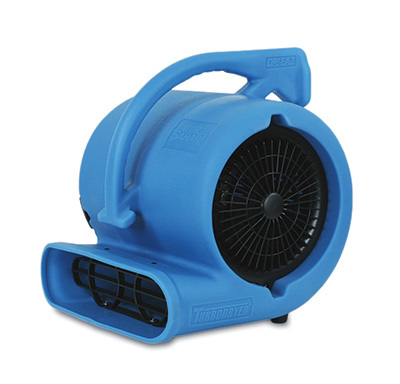 Use to circulate air, or dry carpet for flood restoration. TurboDryer has three-speed air movement for performance and versatility. Underside drying vent allows surface under the blower to dry. Power cord is 25' long.